Overflow: DIY Internal Overflow box, 620x90x90mm, Its using a linear overflow (no weirs) to maximise the draw of only the very top layer of water. A stainless steel mesh on the inside of it ensures that no critters, snails and bigger chunks reach the drain pipes. I use a “safe and silent” overflow system also known as the BeanAnimal (click here for more details). Basically the main thing about it is its silent (no bubbling/gurgling) and its safe in case one of the pipes gets clocked for whatever reason you dont end up with a flood. Lighting: 2x12W TMC GroBeam Ultima 600 and 1x30W TMC GroBeam Tile 1500ND. Both are Natural Daylight spectrum at 6500k. Controlled by Aquaray Multicontroller to allow smooth dimming in and out. Also here to say is that the 7096 Pump controller has a Moonlight on it that simulates an actual moon cycle which I find very cool! Hi Robert, Congrats on starting a native setup and welcome to the club. Most species you find in rockpools should be okay. Checkout this very helpful posts from An Bollenessor (link1, link2). It would be a bit of a shock if you collect them now though as its currently around 10 degrees in the water. I have had gobies and corkwing wrasse in up to 20 degrees for a good while and they seemed fine. 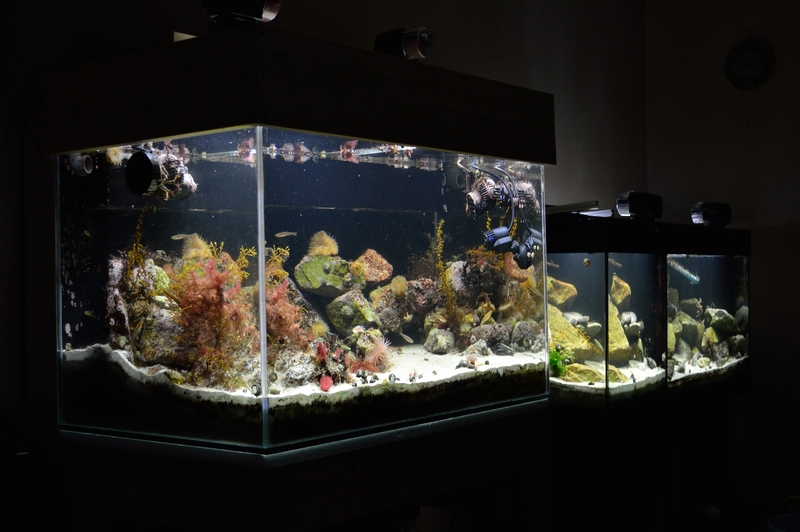 However that was collected and introduced to warmer water in the summer, not sure if they would make the acclimatization as well now in the winter. Definitely give them a few hours to adjust to the temperature as it is an extreme difference. Generally pure Rockpool species are extremely hardy. I would say go for small gobies and a small corkwing to start with. Good Luck and all the best! Marius i have tried native a few times and did not have a cooler.i keeped all the things i caught in my sand-eel net and returned them when i got new ones I had a lobster for 6 mount’s.